As promised, here are some wonderful pics and vids (courtesy of Farilla & Special Ops) documenting the Fire Groove lighting-up ceremony. HUGE thanks to them both for capturing these moments! What an incredible experience. I couldn't stop smiling for HOURS after we left the beach. Of course, I'm now itching to explore ALL of the other fire tools as well. 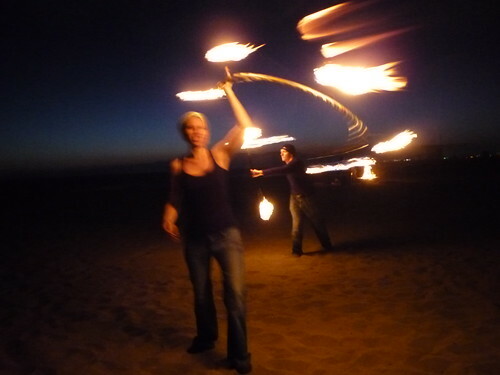 Staves, fans, poi....hmm, what's next?! Time will tell...until then I'll continue to practice my hooping. So much to learn. 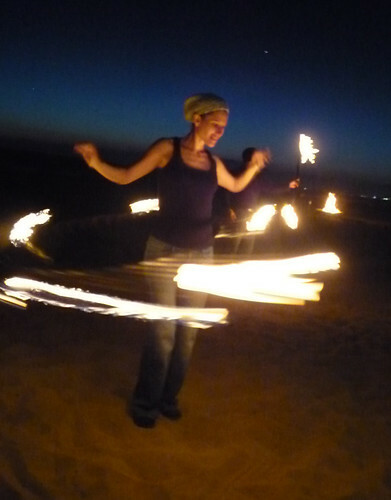 From the videos below you can see that I kept things simple for my first two twirls. It's a whole other world standing inside that fiery vortex. There was so much new-ness for my brain to digest in those moments. 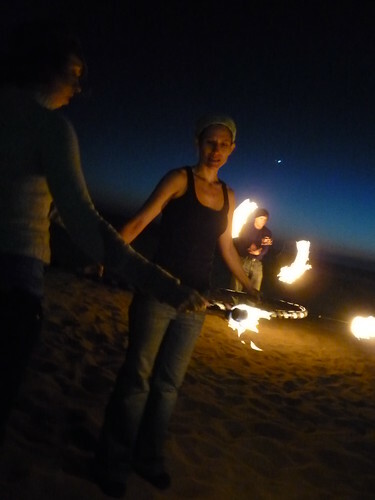 The fire whirling around my head was disorienting at times and trying to spin in sand was much tougher than expected. 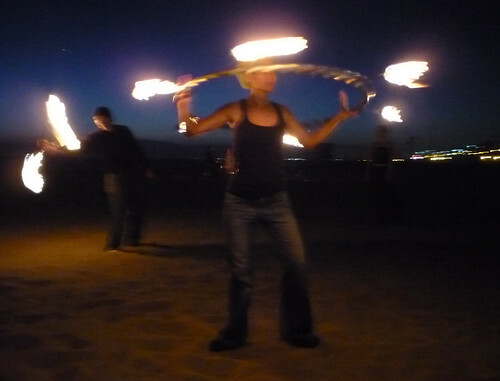 I suspect my courage to try different moves will grow the more I work with the fire. One thing is for sure, I'll never forget the sound the fire made as it swirled above my head for the first time. Completely wow'd! Thanks to everyone who came out in support...Mad Love to you all! Indeed! I'm totally addicted. Can't wait to light up again. Wow. Daniel and I are both so impressed, you are graceful, chica girl. I love it!